Last year, Napalm Records artist and German Thrashers Dust Bolt, stormed the shores of North America for the first time. 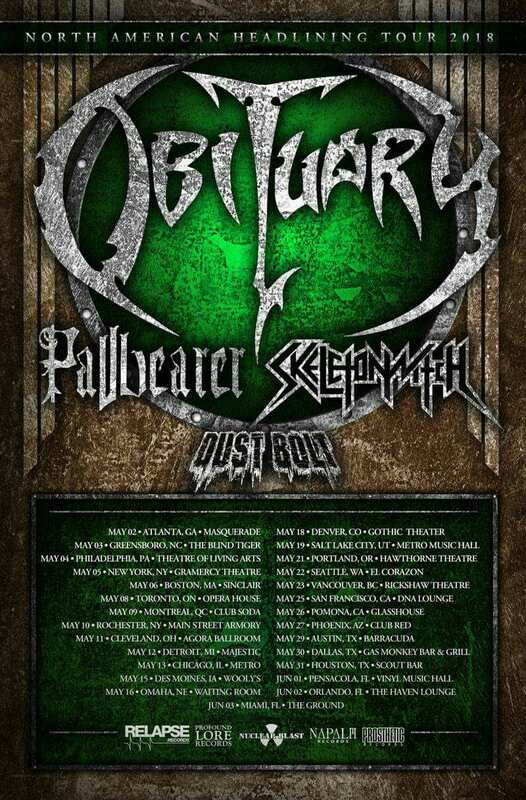 After a successful tour, Dust Bolt are now back and ready to hit the road alongside Obituary, Pallbearer and Skeletonwitch. The tour starts tonight in Atlanta, GA at The Masquerade and runs June 3rd in Miami, FL. A complete list of dates can be found below. 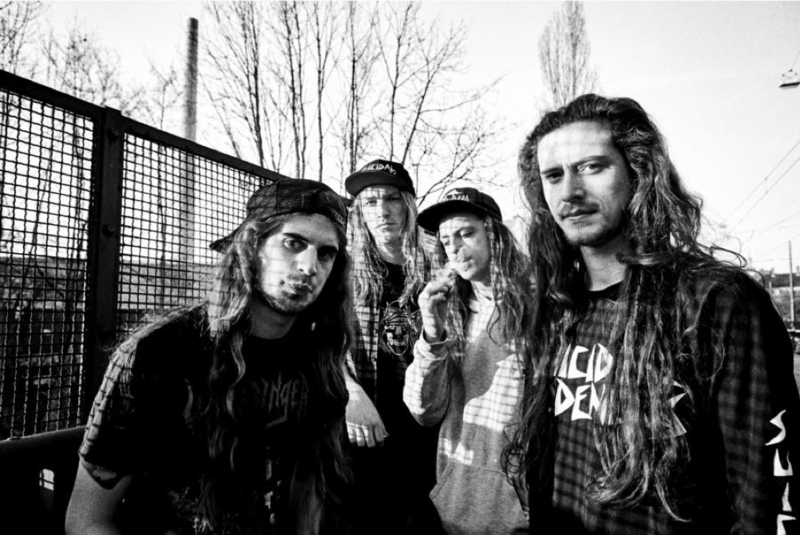 It’s only been seven years since Southern Germans DUST BOLT won the W:O:A Metal Battle 2011 – six years the band has used to transform themselves from hot newcomers into national thrash heroes with their debut Violent Demolition! These Bay Area aficionados dropped their third full length Mass Confusion in July 2016. Relentless touring plus constant fine-tuning of the typical DUST BOLT sound have finally paid off: the old school songwriting is focused and free of ballast weight, yet despite all the rage and aggression there is still plenty of breathing space for melodic guitar work, gang shouts and ten-ton grooves.